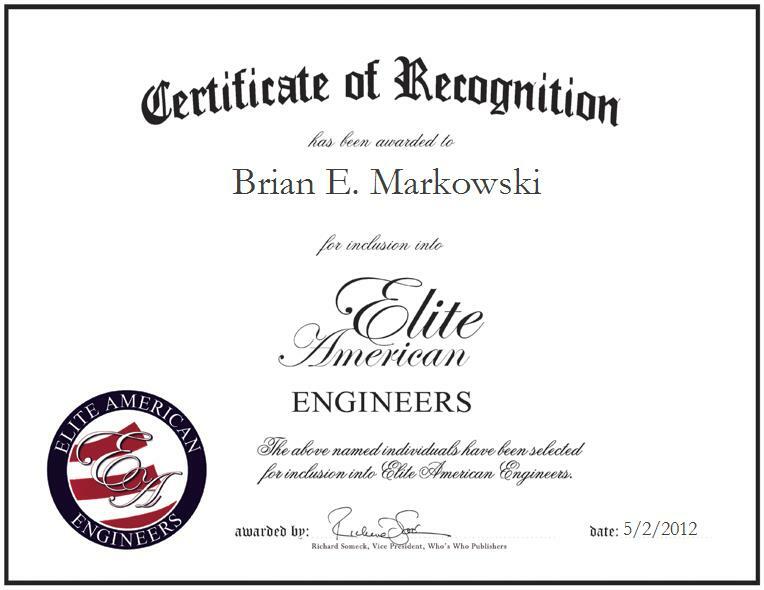 WASHINGTON, DC, May 2, 2012, Brian Markowski, Senior Network Engineer for CACI International Inc., has been recognized by Elite American Engineers for dedication, achievements, and leadership in network management. For nearly two decades, Mr. Markowski has been building on an expansive skill set, which presently consists of strong and focused proficiencies in wide area network management. In his current capacity, Mr. Markowski is responsible for contracting with the State Department to monitor and analyze higher levels of problems on carrier issues and voice applications for agencies and embassies around the world. He has garnered a reputation of distinction for his efforts, winning a Foreign Service Medal, a Good Conduct Medal, and an Airman of the Year Award over the course of his career. Mr. Markowski attributes his success to his commitment to striving for excellence in his every endeavor, and to his ability to pay attention to detail. As a senior network engineer for a Department of Defense and Intelligence company supporting government agencies, he works on contracts for the state department to diagnose elevated threats for agencies that are located internationally. His background with the DoD, which was honed after spending eight years in the Air Force, prompted him to pursue his current career path. He was deployed to Iraq for six months to support the war efforts in the networking field. He is a Cisco Certified Networking Associate, and he is also JCSC Certified. He received a Master’s Degree in Computer Information Networking from Strayer University, and looks forward to becoming a manager of his department, as the position will allow him to fully utilize his decision-making and executive skills. He enjoys reading, and attending movies, plays and the theatre in his spare time.